Do you ever watch movies on an endless loop? 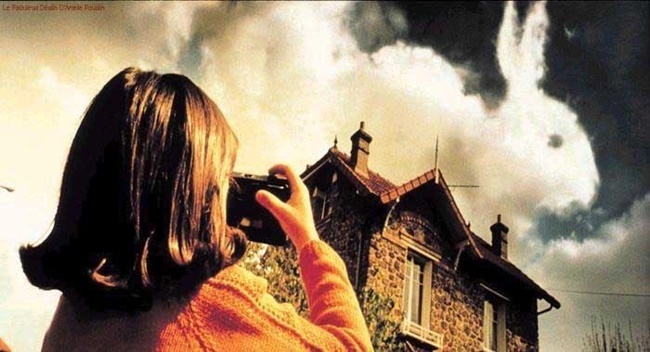 I always have something playing in the background while I sew or put away laundry and lately, it's been Amelie, one of my favorites. Its such a beautiful film. I love her style, her cozy apartment, her way of finding pleasure in strange little moments, her funny daydreams, of which I can totally relate. If you haven't seen it, it's currently on Netflix! I hope that you enjoy these funny little finds and if you get the time to watch Amelie this weekend, do! What's the movie that you never get tired of? How delightfully fun!!! There are some movies that I can watch over and over again for sure, too, that span the spectrum from White Christmas to Grease, any of the Naked Guns to anything Jim Carry did in the 90s (mixed bag tastes, I know!). 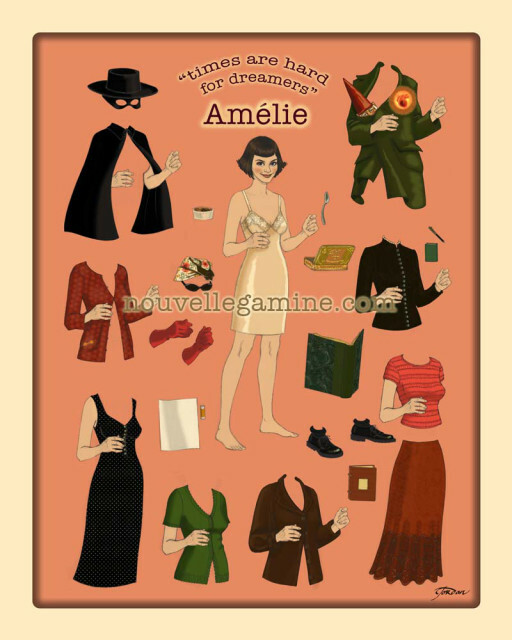 Ahh Amelie is my go to movie as well I've watched it sooo many times. I just adore it. It is visually stunning and it just makes me happy!